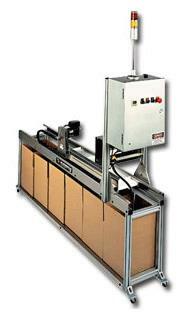 MAC Automation offers many types of automatic container indexing and loading systems. The styles are: In-line, Parallel, MAC-STACK (over/under), L-shaped, and Rotary Indexing Table. Three of the five listed systems are manufactured from either mild steel or extruded aluminum construction. These system types are the most common in the plastic injection molding industry. There are other styles that are application or requirement dependent and are available upon request. All of the above mentioned systems can be filled or controlled by either machine cycle count or be a counting scale system independent of the IMM. 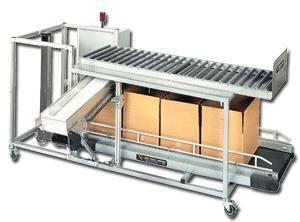 Box Fill Systems can automatically fill containers by count or weight. They can be designed to handle a wide variety of containers and floor plans. 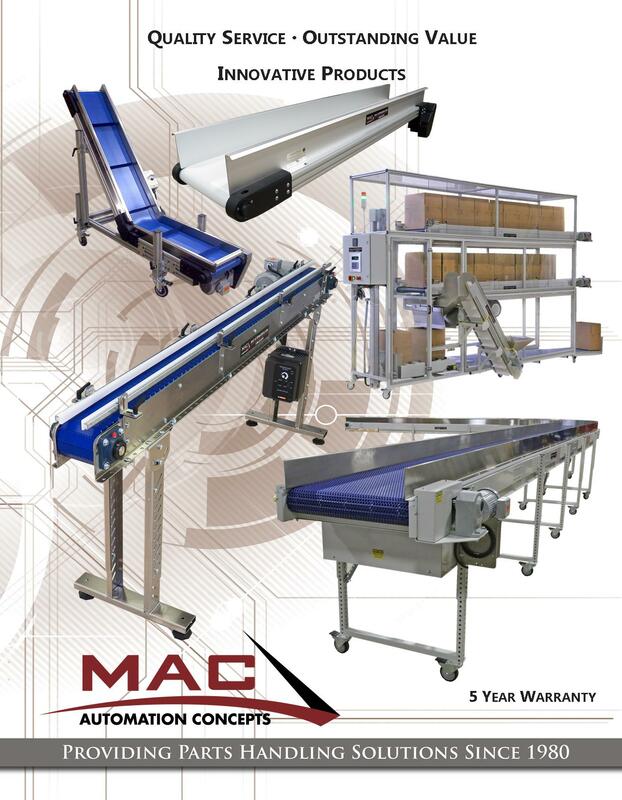 MAC systems serve to reduce labor cost, fill containers more accurately, enhance product quality, improve safety, increase capacity and add flexibility. For Multi-Level Systems - you have either three or four levels added to the stack system. 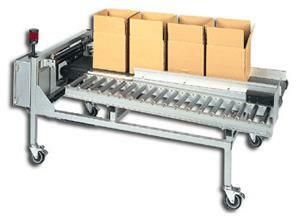 The added conveyors are belt drive types with forward and reversing motor starters. An electric vertical elevator, belt drive, is utilized to sequence to the correct elevation as determined by sensors. 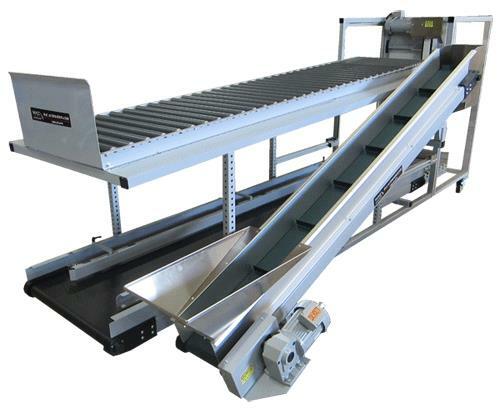 Three level systems consist of two belt or power roller conveyors and a single gravity conveyor. The four level systems consist of three belt or power roller and one gravity roller conveyor. Systems can have even more levels. The number of levels required is based upon the necessary number of containers required for a given machine foot print. The second most economical type of system found on the market. The system size is determined by the size and number of containers required for a certain amount of unattended run time. 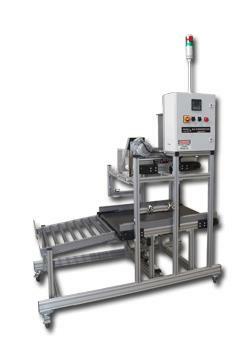 Systems for cycle count controls consist of an indexing conveyor, a gravity type accumulation conveyor, an equipment sub-frame, a pneumatic sweep arm, a control panel and leg supports with an end stop at end of gravity conveyor. This design utilizes a support structure for approximately 4-6 containers, containers are located close to floor, a shuttling belt conveyor uses a two position air cylinder on a track system. The conveyor belt is cleated and has a forward and reversing motion. The sequence of the PLC controller allows all boxes to be filled by cycle count only. The alarm is activated when the last container is filling. An operator manually resets the system when completed and removes full containers while replenishing with new empties and activates a reset button. The most common and most economical type of system found on the market. The Inline Box Fill system's size is determined by the size and number of containers required for a certain amount of unattended run time. Systems for cycle count controls consist of an indexing conveyor, a gravity type accumulation conveyor, a control panel and leg supports with an end stop at end of gravity conveyor. 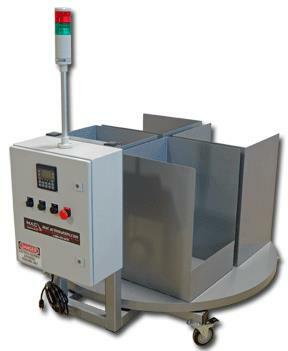 Rotary Index Tables are designed as a cost effective method of filling bags or boxes. The indexing tables can be sized to provide many hours of unattended run-time. The robust design, which is engineered to take demanding punishment from an industrial environment, is far superior to competitive designs. Our control panel has a NEMA 1 cabinet with hinged front door, no screws to remove for panel access. You can see the quality in the panel design and component layout. A state of the art operation interface equipment to controller sequence of operations, this provides reliable no hassle functionality. Included in the basic package is our CT8 control package. This standardized control is a cycle count based system, which receives cycle signals from the IMM and is entered into the programmable operator interface.